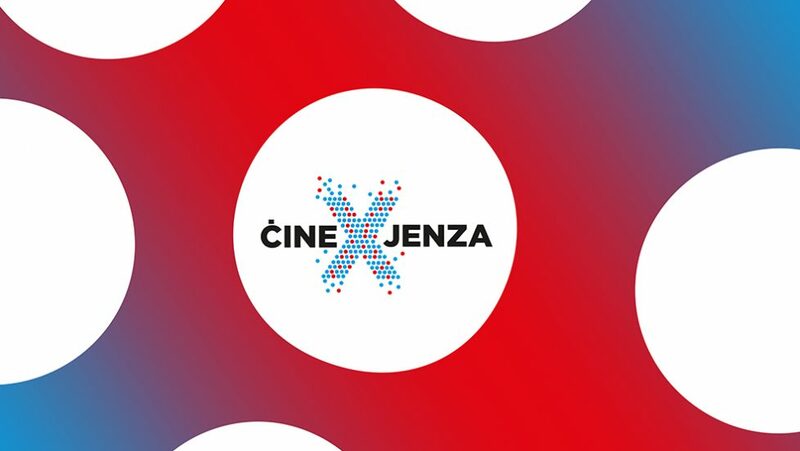 ĊineXjenza is presented in collaboration with Malta Chamber of Scientists and Spazju Kreattiv. Events are held on a monthly basis in the Spazju Kreattiv Cinema and all are free and suitable for adults. ĊineXjenza forms part of the STEAM @ Spazju Kreattiv programme of events and can be found on Facebook. Creative Team: Jessica Edwards (event manager), Dr Edward Duca (science communications consultant), Ed Thomas (assistant), S-Cubed (assistants) and Sephora Schembri (poster design). Her uses a familiar idea to sci-fi fans – machine sentience – and spins it in a new and exciting direction. ĊineXjenza allows you the opportunity to discuss and share your own thoughts on artificial intelligence, the future of technology and meaning of autonomy, and the philosophy of what it means to be human. The evening will be facilitated by our experienced science communicators with input from leading researchers from the University of Malta. Set in a near-future, real-world setting, Her follows professional letter-writer Theodore Twombly through the final stages of his divorce. In his vulnerable state of loneliness he purchases a state of the art Operating System designed to mimic human consciousness: Samantha. Entranced by Samantha’s ability to learn and evolve, Theodore becomes increasingly attached to spending time discovering her secrets. As a romantic relationship between man and machine develops, the protagonist struggles with society’s prejudices about being in love with a computer. Can he overcome his internal conflict and find happiness and a future with Samantha? With Blockchain and Quantum Mechanics improving cryptography to a point where they are ‘secure by design’, practically guaranteeing the safety of our sensitive data, experts talk of a world where we will no longer have to worry about information theft. But what if this wasn’t the case? What if highly trained spies could extract information, thoughts, secrets, from your subconscious, all while you were asleep? Inception follows highly specialised con artist Dominic Cobb as he and his team practice the artistic science of ‘extraction’. They enter the target’s subconsciousness when they are in a dream-like state in an attempt to recover hidden information without the subject knowing. Cobb’s talent for corporate espionage has also made him an international fugitive. However, he is offered a shot at redemption when Mr. Saito approaches him offering a new job. Instead of the perfect heist, Cobb and his team of specialists have to pull off the reverse: their task is not to steal an idea but to plant one. “His books force you to regard nature in a way that you’re not accustomed to looking at it. He’s forcing you to think. He’s forcing me to think. And that’s what I love about James’ work.” – Louie Psihoyos (Photographer & Oscar Winning Filmmaker). This documentary follows National Geographic photographer, James Balog, as he embarks on a multi-year attempt to capture indisputable observational evidence of climate change and then communicate it with the world. Marvel at the stunning cinematography of our planet’s natural landscape as Balog and his team confront us with unbelievable scenes of a glacial breaking event lasting 75 minutes, the largest such event ever captured on film. Throughout Gravity the protagonists are often on their own leading to an extreme feeling of isolation. This leads to individual questions and ultimate decisions about their own mortality and what may be best for the other at the expense of oneself. Join ĊineXjenza’s experienced science communicators and specially selected experts from the University of Malta as we explore the science and critically analyse Alfonso Cuarón’s 2013 sci-fi thriller Gravity. If you were offered a drug that laser focused your concentration and let you recall everything you’ve ever heard or seen instantly, would you take it? In the film Limitless, frustrated author Eddie Morra is struggling to make progress in both his professional and personal life. An old friend introduces him to an experimental pharmaceutical drug capable of letting him use 100 percent of his brain. Morra’s life is transformed instantly by this new limitless potential. As he is catapulted into a world of financial investment and ruthless business moguls, he is forced to confront hit men, drastic side effects and an ever dwindling stash of the precious pills. Science tells us we should be able to explain and link together all physical aspects of the universe in one single, unified theory: a theory of everything. ĊineXjenza invites you to come and share your opinions and learn about whether physicists will ever reach this elusive “ultimate theory”. The Theory of Everything is the romantic biopic providing a glimpse into the extraordinary life of one of modern times most renowned scientists – Prof. Stephen Hawking. Beginning with his 1960s Cambridge college days where he falls in love with Jane Wilde, The Theory of Everything follows Hawking through his lifelong struggle with Motor Neurone Disease after being given just two years to live following the diagnosis. Against his initial want for Jane to leave him, she stands by his side ultimately to become Jane Hawking while completing his Ph.D. dissertation on a revolutionary idea on the creation of the universe chief among them.